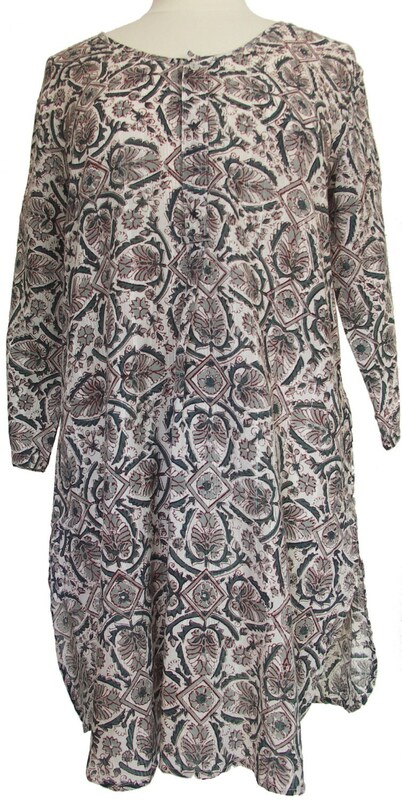 Wonderful light weight cotton tunic blouse, hand block printed on a textured cotton, with a center pleat at the front for a more relaxed fit, a simple scoop neckline and hand made buttons. 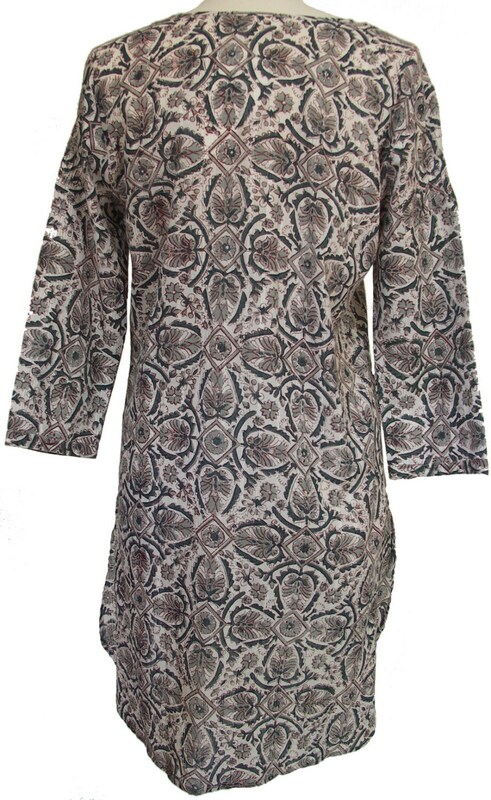 Three quarter sleeves and a scalloped hemline complete this 100% cotton tunic. Length 38".